Surfing the wave of recent activity, I got to share some of the great news with you all. First off, I want to show you the new 'Old Mine' track. There are so many changes that it doesn't resemble much of the previous version, with the exception of environment. Another track, 'Snow Mountain' was converted by sj04736, with a few smaller changes, including animating the balloon. To all track converters: look at this wiki page and be sure to update it if you're working on converting/improving a track in the main package. Replicating work should be avoided. Also, the forums is a good place to gather information and ask questions. 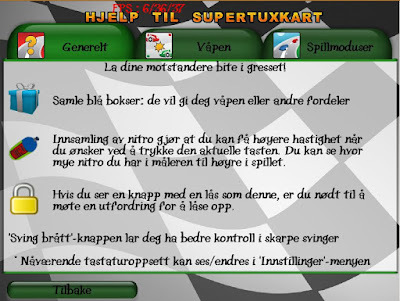 Furthermore, we got ourselves a couple new fonts and a couple less (removed old ones), and new translations. The font had quite a few characters missing, so they were added afterwards, and hopefully they look okay for the ones using them (none of them in the screenshot). We also added another font which supports Russian, Greek and Simplified Chinese. If needed, more fonts can be added. 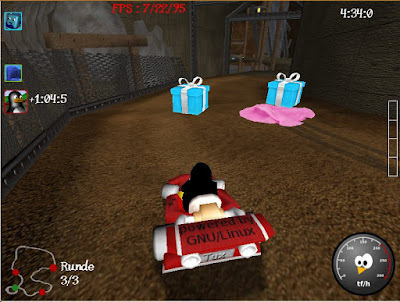 Got to say, very impressed with SuperTuxKart development over the last several months. This is turning into a great game and will only get better as more people enjoy it and look to contribute. Great work!!!! Can we download and test the 2 new tracks or we must wait for a new alpha?